THE CHOP BAR http://www.tarasorganic.com/locations/info/the-chop-bar is serving up a Whole Pig Roast and Fist of Flour will be there with Pizza too. Organic Ice Cream, Beer, Pizza, & Pig Roast sounds like the perfect way to spend Father's Day with the whole family! We hope to see you there. 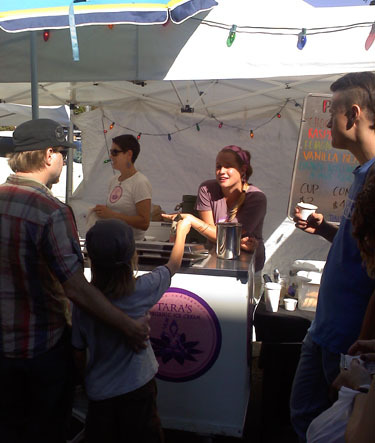 TOIC will be scooping cups or cones of Salted Caramel, Banana, Cardamom, & Coconut Sorbet. SATURDAY JUNE 23rd TOIC is at TOBY'S FEEDBARN in Point Reyes Sta. from 1-6PM. http://www.tarasorganic.com/locations/info/tobys-feedbarn Look for us on highway 1.